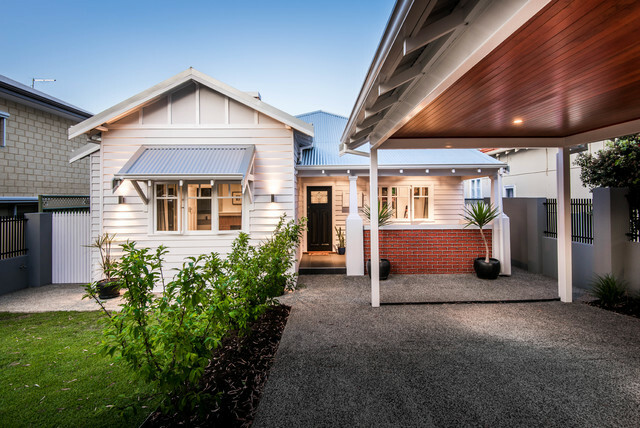 Houzz at a GlanceWho lives here: Building designer Janik Dalecki, 28Location: Maylands, WASize: 110 square metres; 3 bedrooms, 2 bathroomsSite: 315 square metresBuilding designer: Dalecki DesignYear completed: 2015Renovation cost: $190,000, including all building work, fixtures and landscapingAwards: Winner of the 2016 Building Designers Association of WA Best Residential Alteration and Addition up to $250K. Winner of the 2016 National Association of Building Designers Best Residential Alteration and Addition up to $350K. I like how this matches the house.